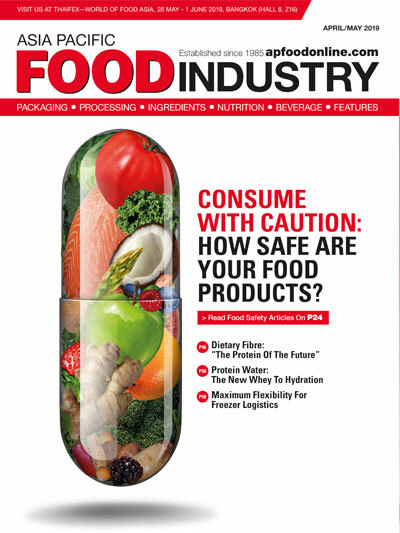 Todd Stewart, Flexco USA, Industry Manager, discusses how closing the gap between transfer points can increase productivity for end-of-line packaging in F&B. With the increasing number of e-commerce shoppers, air freight for parcel shipments has increased drastically over the past decade. For instance, both private delivery companies and traditional postal systems have experienced large growth in volume fuelled by the tremendous growth of e-commerce worldwide, where consumers demand fast and hassle-free shipping. Statista projects that worldwide e-commerce sales will increase by a whopping 246.15 percent from $1.3 trillion in 2014 to $4.5 trillion in 2021. This includes Asian consumers from South Korea, Japan, China, Singapore, Malaysia and India topping the global list for countries with the most amount of online spending for fashion, beauty and personal care, and household and fresh groceries, as well as books and music. In this new world of instant gratification, it is essential that parcels and packages travel quickly without delays caused anywhere along the logistical route. 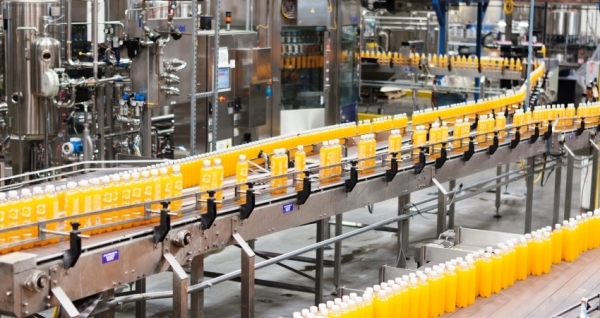 The food and beverage industry knows all too well the eventual cost of delays. This can be of particular importance in the distribution of fresh foods. Even small delays will reduce the retail time fresh foods can spend on the shelf. Within these conveyor systems, there are transfer points. In small operations, there may be a handful, while in large package handling operations, there could be hundreds. These transfer points occur where the belt conveyor is transferring from its head pulley to another belted conveyor, to a roller bed conveyor, or to a chute or a slide. 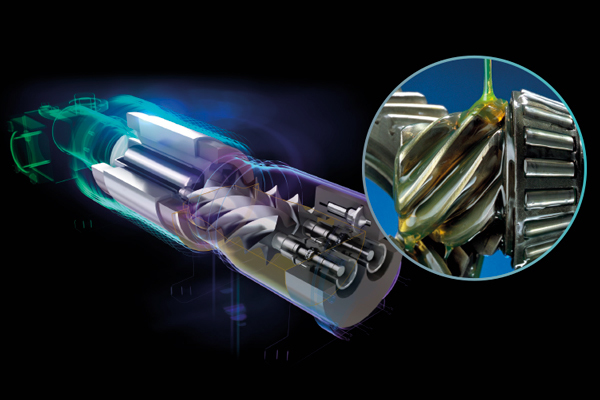 It’s at these transfer points where challenges that affect the efficiency of your operation can occur. One challenge is that small conveyed parcels, such as boxes, bags, and other items can be pulled into the opening between the transfers, damaging the parcel and even the product inside. If the product inside the parcel falls out, the next transfer point could be facing a challenge: loose items on the belt. These items, specifically packing materials in some cases, can fall into the transfer point and get wrapped around a pulley. The associated identified challenge is the hazard of foreign object debris. These loose items are often known as FOD (foreign object debris)—pieces and parts that should not be located on the conveyor. An example of this is a package with furniture that needs to be assembled upon receipt breaking open with the hardware kits (screws, nuts, and bolts used for assembly) spilling out onto the belt. FOD causes rips, gouges, tears, and cuts in the belt, as well as damage to other conveyor components like head and tail pulleys, and bearing wear and damage from items becoming wrapped around the pulley. 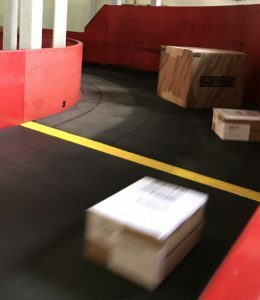 Transfer point challenges can bring an operation to a standstill as conveyors are stopped to retrieve parcels stuck in and under the transfer. 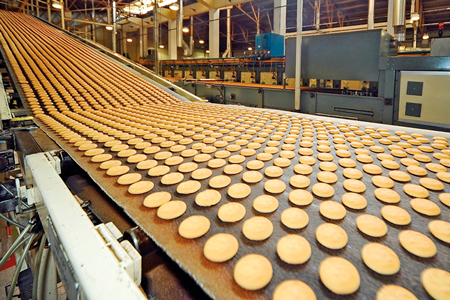 This time, along with the time used for maintenance on conveyor belts and components due to FOD damage, can add up and affect both the bottom line and on-time delivery. An additional challenge at transfer locations is the ability for smaller parcels or packages to be held up or delayed at the transfer. This is a larger problem after the parcels have gone through the metering process and are heading for the x-ray/scanning tunnels. The timing of the parcel is no longer in synchronisation with the x-ray/scan tunnel which cause the parcel to be routed to the recirculation system where the package will begin the complete sortation process again. 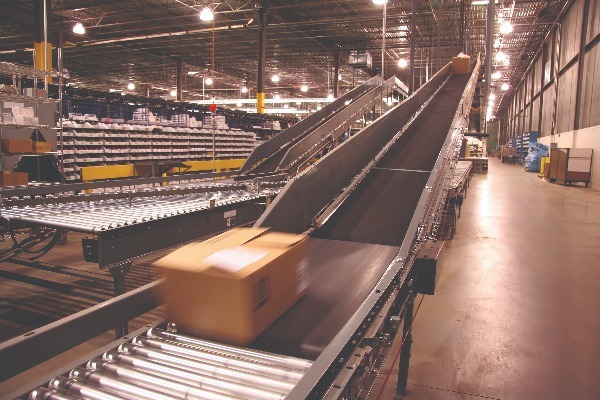 At most facilities, recirculation of packages is measured and is considered a negative event. The solution to transfer point challenges is to place something in the gap that will fill it, but not interfere with package flow—the transfer plate. Transfer plates are installed to bridge the gap between two belted conveyors, between a conveyor and a chute or slide, or between a conveyor and a roller bed conveyor. 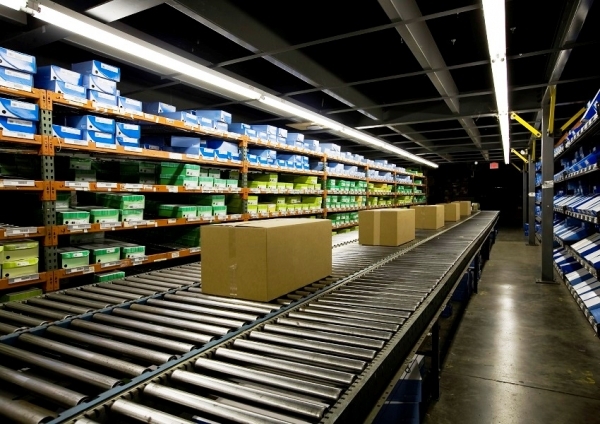 This provides a smooth transition of packages across the transfer area. During this process, the transfer plate also protects the belt, packages, and conveyor components from potential damage caused by FOD. Some operations believe that problems with their transfer points are part of the cost of doing business, choosing to deal with damaged packages and angry customers or unhappy maintenance crews who must continually shut down conveyors to repair damaged belts and pulleys. Others seek a solution either by creating their own homemade mechanisms or by seeking help from the OEM. The UHMW plate with a bevelled edge is perhaps the most popular of the OEM or homemade solutions, featuring a static mounted angle iron that is welded in place to each transfer. This is an inexpensive solution that is considered safe for mechanical splices because there is approximately a 1/8” (3 mm) clearance between the plate and the belt surface. The UHMW plate can sometimes be considered an engineered solution when the end user has specifications requiring the use of this design. In this case, the OEM will design the transfer plate to fit within the set specifications. However, debris can get caught in between the plate and the belt, and because of the rigidity of the mounting, stay there. This causes damage to the parcel, the belt, and other conveyor components. Over time, UHMW plates also warp and wear due to items being caught and the gap becomes larger, inviting items and debris to, once again, get caught in the transfer. And while the materials are readily available and inexpensive, the real time comes from the maintenance team hand-fabricating each plate, which can take up to three hours a piece. Another OEM/homemade solution involves belting and a metal plate, combined and static-mounted with an angle iron. It is considered a low-cost option as it features standard belting material surrounding an angle iron base. It works well at first, but the conveyor belt starts to peel up or lift up, creating a space for debris to get caught in it. Much like the UHMW plate solution, the gap continues to grow as wear occurs, trapping more FOD. The pop-out roller solution is a popular engineered solution found in many distribution centres. It’s a lower friction solution that reacts when an item gets caught in the transfer by “popping out.” While this is a great safety measure, frequent pop outs leave the transfer open and vulnerable to more foreign object debris. Also, the nature of the roller leaves it open to having tape, straps, and anything else capable of wrapping around it getting caught and popping it out or causing a package that is being conveyed to be turned or slowed. An inverted brush solution is often placed into transfers that are very tight, keeping smaller parcels, packages, and envelopes from being caught in between and allowing larger packages to move over it. However, the bristles tend to get bent by the belt, opening up a space for FOD to get caught and held, damaging the belt and/or splices over time. One of the most recent engineered solution on the market is the segmented transfer plate. A major benefit of the segmented transfer plate is quick and easy installation thanks to the various mounting options and the ability to configure the size of the segments to match the gap size— wide or narrow. The segmented design eliminates belt, splice, and product damage by lifting or popping out should something get caught in the plate. How this differs from the pop-out roller is that you only lose that segment, not the entire plate. Since the base is welded or bolted in place with a common bar into which the segments snap, replacement of segments is quick and easy. Maintenance crews can simply snap a new segment onto the bar in less than a minute. The segmented design is also flexible and conforms nicely to crown pulleys and other variations in the conveyor. The bright yellow colour of the segmented transfer plate makes spotting a missing segment easy against a variety of belt colours. Taking a closer look at your transfer points and solving your biggest challenges could lead to major productivity increases. But don’t just stop there. 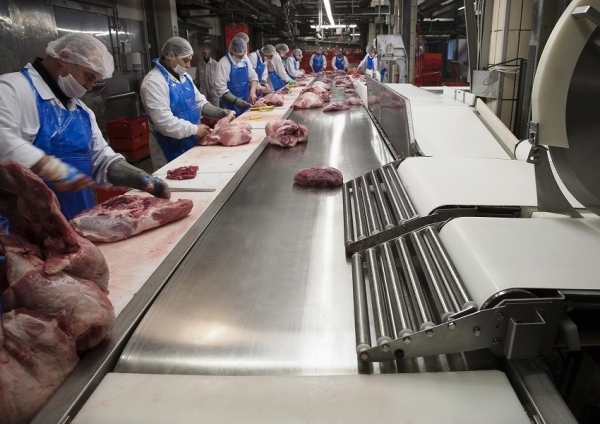 Inspecting and performing maintenance on not just your transfer points, but all the areas of the conveyor system, should be part of an overall maintenance plan. Operations can save time and money with scheduled work stoppages for maintenance and by replacing equipment before they cause damage to other components in the system. Assessing your system and its components will decrease the amount of unexpected downtime, help keep your workers safe, and help your operation run more efficiently.